One of the long standing favorite things in our house is puzzles. Like all things, they have their phases but recently we have been back into puzzles big time. 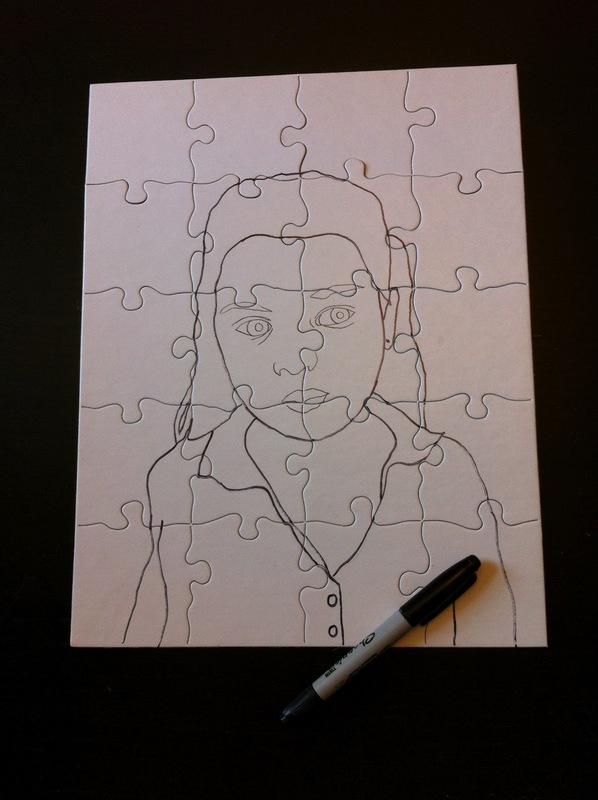 A few months ago, during our last big puzzle phase, I wrote an Inspiration: Puzzles post, in which my friend Stephanie from Neuroses Galore, suggested checking out these blank puzzles. I loved the idea and next time we went to the art supply store I picked two up (they were something ridiculous like .50 cents a piece.) We have just had them hanging around our house for a while because I wasn't sure what exactly we were going to do with them. Then, while working on our stitched family portraits, I thought it would be fun to make the girls, particularly the Bee, to do a puzzle of her self. I used the same technique as in the stitched portraits, starting with a printed photo on 8x11. 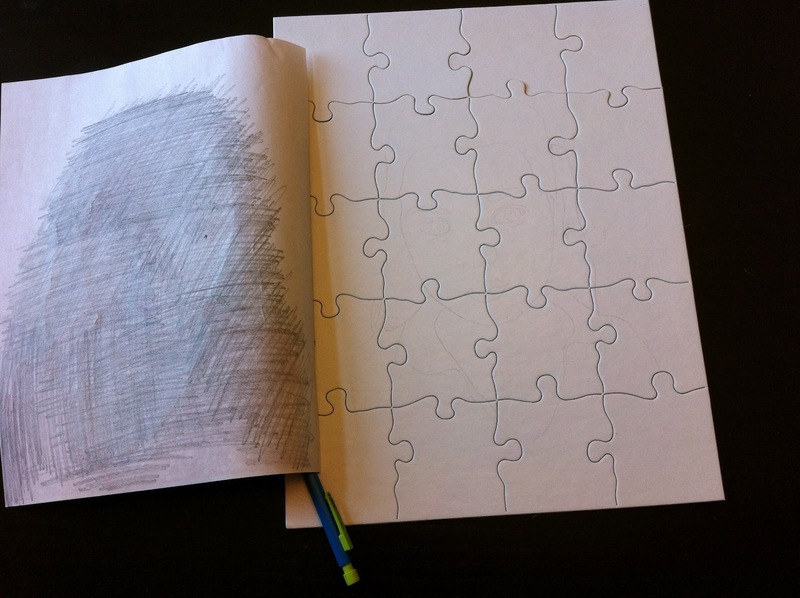 I then shaded the back of the paper with pencil and taped the photo to the blank puzzle. I carefully traced over all the lines in the portrait before peeling back the tape. I then went over the light lines in pencil directly on the puzzle to make sure I had everything. Finally I went over the pencil lines with a black sharpie marker, before turning the puzzle over to the Bee to color however she wanted. 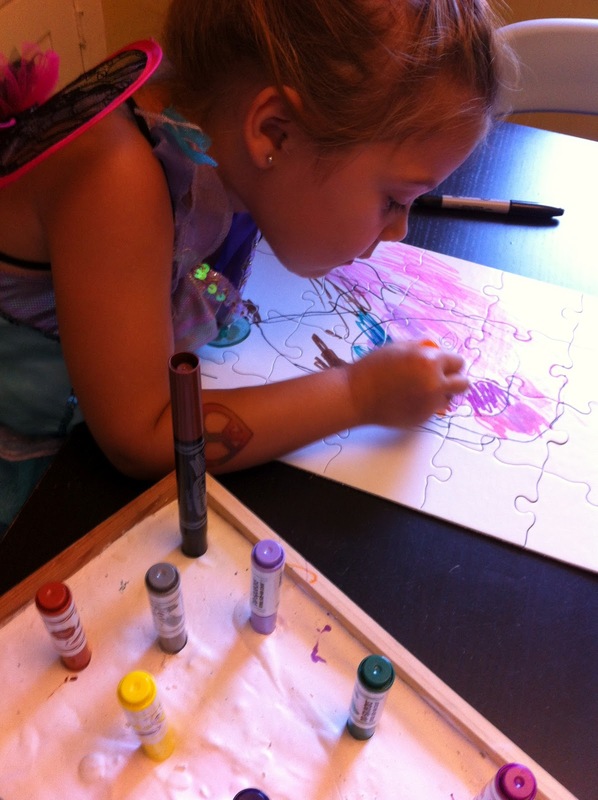 She used lots of bright colored markers which reminded me of a Pop Art Warhol style prints. So cool! I love the etching technique that you used. 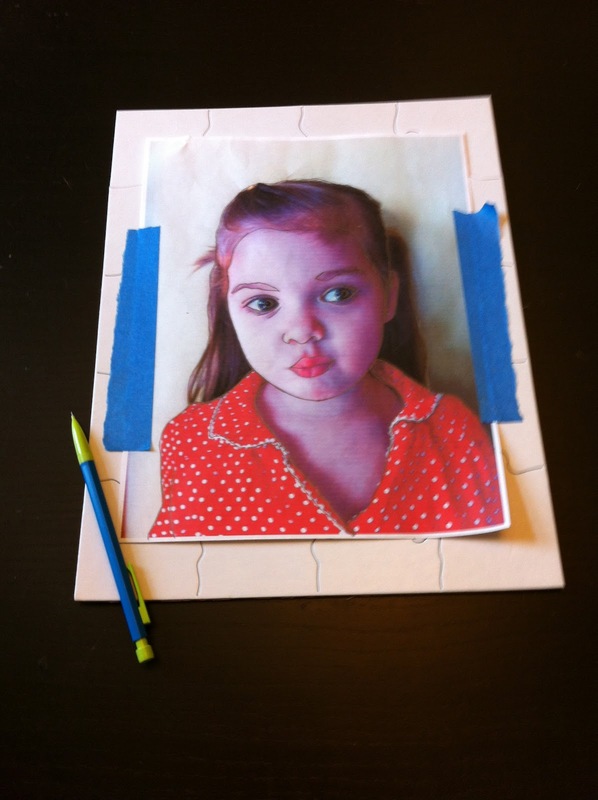 Hey, have you seen the book Art Lab For Kids? I checked it out from the library and have been thumbing through it. I want to try the monoprints using styrofoam meat trays. I just have to find some! PS Thanks for the shout out!